These are custom designed for each client's project. 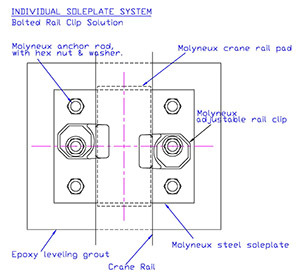 Molyneux offers the largest choice of adjustable rail clips to provide for custom designed solutions. 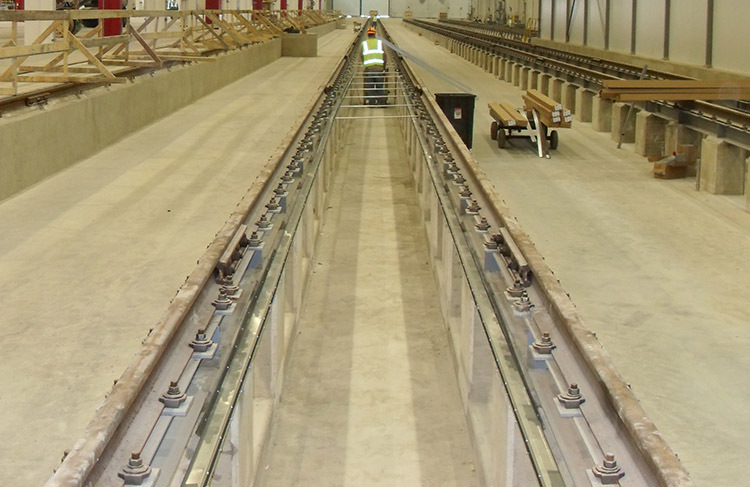 For use with continuous rail supports or individual rail supports. 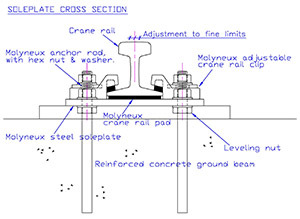 Solutions include steel reinforced crane rail pad and individual pedestal support crane rail pad systems. Longitudinal and lateral leveling of the rail and rail support is extremely important. A variety of custom solutions are offered from beneath the soleplate or from above the soleplate with the use of leveling bolts. 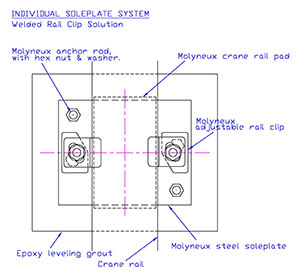 Molyneux offers a variety of solutions for anchoring the soleplate to the supporting concrete. These include shear connections, fully threaded anchor rods and holding down bolts or anchor bolts, including the installation adhesive where applicable. We offer of a large variety of epoxy, resin and also cement based grouting products to complement our custom design solutions.